Pity the poor pedestrian in Vienna during the time in which Napoleon in America is set. Here’s what an English visitor had to say about the dangers of walking in Austria’s capital in the early 1820s. ‘The Art of walking the streets’ in London is an easy problem compared with the art of walking them in Vienna. In the former, there is some order and distinction, even in the crowd; two-legged and four-legged animals have their allotted places, and are compelled to keep them; in the latter, all this is otherwise. It is true, that in the principal streets a few feet on each side are paved with stones somewhat larger than those in the centre, and these side slips are intended for pedestrians; but the pedestrians have no exclusive right; the level of the street is uniform; there is nothing to prevent horses and carriages from encroaching on the domain, and, accordingly they are perpetually trespassing. 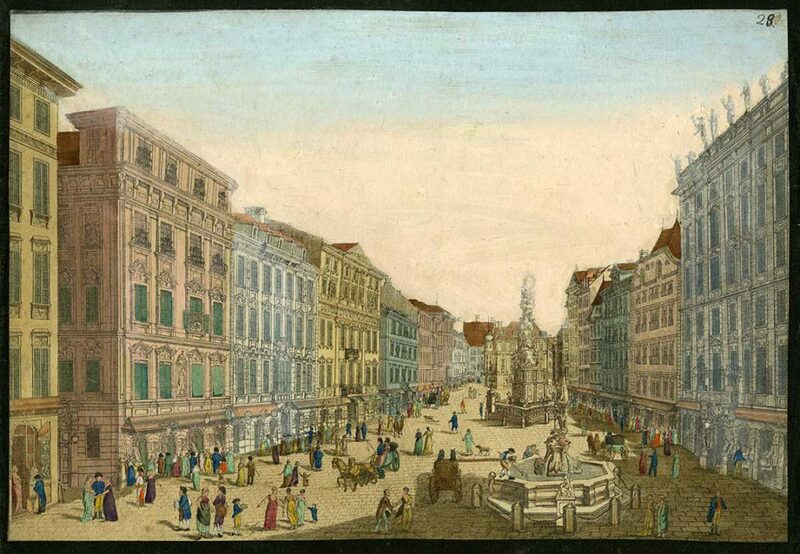 The streets, even those in which there is the greatest bustle, the Karntherstrasse, for example, are generally narrow; carriages, hackney-coaches, and loaded wagons, observing no order, cross each other in all directions; and while they hurry past each other, or fill the street by coming from opposite quarters, the pedestrian is every moment in danger of being run up against the wall. A provoking circumstance is that frequently a third part, or even a half of the street, is rendered useless by heaps of wood, the fuel of the inhabitants. The wood is brought into the city in large pieces, from three to four feet long. A wagon-load of these logs is laid down on the street, at the door of the purchaser, to be sawed and split into smaller pieces, before being deposited in his cellar. When this occurs, as it often does, at every third or fourth door, the street just loses so much of its breadth. Nothing remains but the centre, and that is constantly swarming with carriages, and carts, and barrows. The pedestrian must either wind himself through among their wheels, or clamber over successive piles of wood, or patiently wait till the centre of the street becomes passable for a few yards. To think of doubling the wooden promontory without this precaution is far from being safe. You have scarcely, by a sudden spring, saved your shoulders from the pole of a carriage, when a wheel-barrow makes a similar attack on your legs. You make spring, the second, and in all probability, your head comes in contact with the uplifted hatchet of a wood-cutter. The wheel-barrows seem to be best off. They fill such a middle rank between bipeds and quadrupeds that they lay claim to the privileges of both, and hold on their way rejoicing, commanding respect equally from men and horses. The final illness of the Duke of Reichstadt (Napoleon’s son), who lived in Vienna from 1814 until his untimely death in 1832, worsened after a wheel of his carriage came off during an excursion to the Prater. He fell in the street on his walk home. John Russell, A Tour in Germany, and Some of the Southern Provinces of the Austrian Empire, in the Years 1820, 1821, 1822 (Boston, 1825), pp. 363-365. 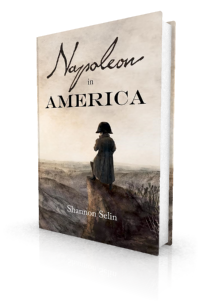 Re: Napoleonic Complex: in reality, although portrayed as puny, the average height of men in his day was 5’4″ – and Napoleon was 5’7″. Thanks, Frank. My friend Margaret Rodenberg has written a good article about Napoleon’s height: http://www.mrodenberg.com/2013/10/24/how-tall-short-was-napoleon-bonaparte/. You have scarcely, by a sudden spring, saved your shoulders from the pole of a carriage, when a wheel-barrow makes a similar attack on your legs. You make spring, the second, and in all probability, your head comes in contact with the uplifted hatchet of a wood-cutter.